To create a full brand identity for a new company, launching detox juices, focusing on healthy and vibrant brand values. All this was required in just 6 weeks. A detailed strategy was created and design ideas formed for the bottle packaging, logo and concept. 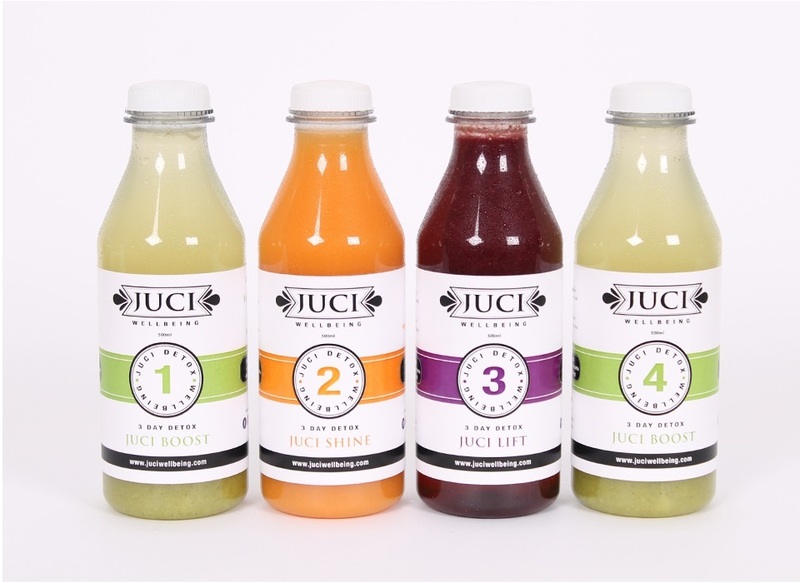 From a sketch pad to a finished website, the Juci Wellbeing brand was developed by the Stone Create team and evolved into a full brand and website package. One of the first elements to this vast project was to decide on a company name, where there was a domain name available to purchase, and a brand identity. The new brand identity had to be one colour and classic with the design. From this, Juci Wellbeing was born. We designed a bespoke eCommerce website within just a short 6-week turnaround, allowing customers to purchase their detox products online, effortlessly. We wanted to produce a range of packaging labels and a box design to complement the classic brand identity. 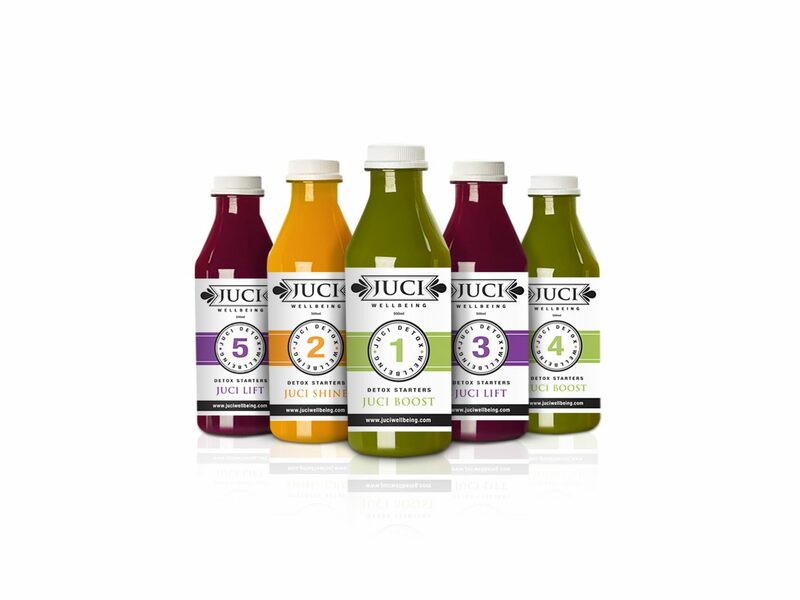 Each label was colour-coded to match the flavour of each detox juice and designed to incorporate the ingredients that went into each product. 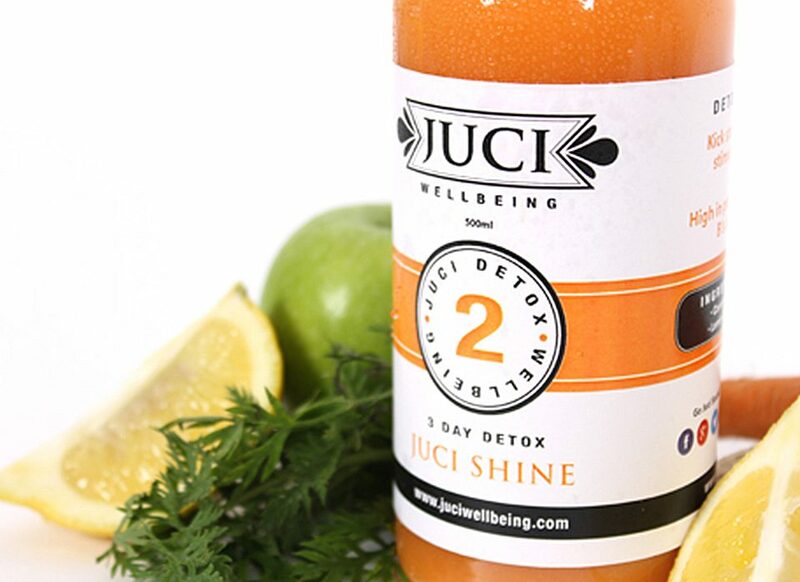 Mel Wells, previously known for her role in Hollyoaks was brought in as the face of Juci Wellbeing due to her love and enthusiasm for following a healthy lifestyle through her own company, The Green Goddess. We project managed the photography shoot and script for the video. This included shooting and editing all photos and videos to be used on the new website and marketing materials going forwards – social media, email marketing, and literature.